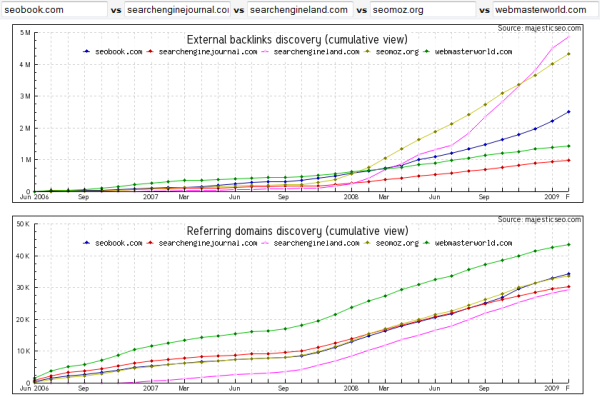 Such data can be used to compare sites against traffic growth of sites. 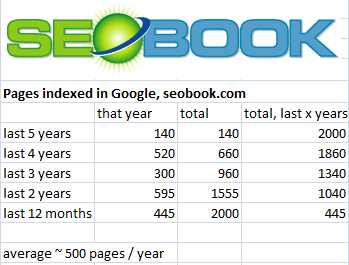 You can further analyze the number of pages indexed in Google (and how it has evolved over time). These data points can by synched up to help evaluate if a site is particularly strong or weak in any area, and how to address that weakness or build off that strength to further grow a site. Have way more links than competing sites, but few pages? Create content. Have way more content than competing sites, but few links? Work on link building. Such data can further be refined by plugging sites into our competitive research tool to see what they rank for, and coming up with more ideas by looking through our complete guide to competitive research. It seems you have a formatting issue...the right nav links are on top of the right side of some of those graphs. Nice find Aaron, that backlink history graph can be really useful. I've already started playing around with it! 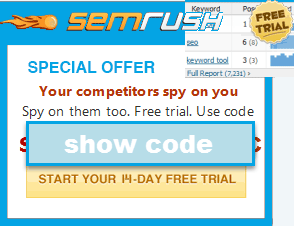 I think these tools can definitely help us to more easily identify some of the tactics on which our competitors are focusing, in an effort to increase their own rankings. However, these tools do not reveal which tactics contributed the most to one's ranking success or failure. We also do not know how many of these backlinks have been earned, purchased or are just plain spamulent. I mention this for the benefit of those people newer to Internet Marketing, especially with regard to SEO/SEM strategy. Aaron, are there any tools available or in-the-works, which attempt to reveal the nature of one's backlink profile (i.e. earned, purchased, spamulent)? I'm no programmer and although this seems like it'd be hard to decipher (many, many variables and considerations) it would be tremendously valuable information to know. What about Trust/Trust Rank? Although we can identify some likely variables that contribute to Trust Rank, has anybody done a stellar job defining it thoroughly and enough to put it into a tool to help people gain a better insight into why one website may outrank another? If you know their links came in spikes then you can try to see what they were doing around that timeframe...it takes digging through a lot of backlinks, but if you know the rough time estimate that a big spike happened you should be able to research it further. A couple tools which also help you track links proactively are Advanced Link Manager and Majestic SEO. 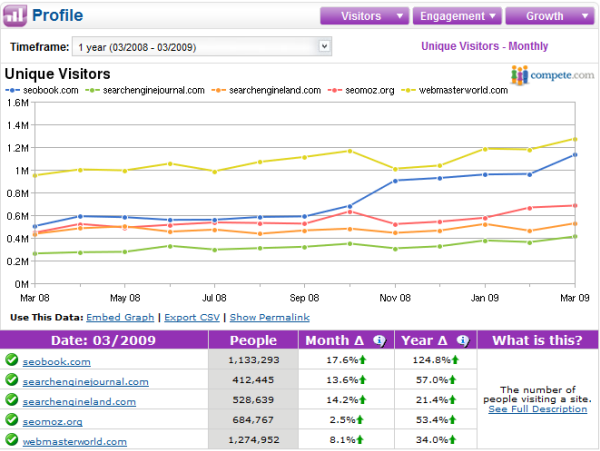 This tool by MajesticSeo.com is useful and easy to comprehend even for newer practitioners of the SEO art. It is always good to check in on what the competition is doing well and where they have failed. Since SEO seems to be in a constant state of evolution, tools like these are valuable in discovering whether a client’s site is keeping with the times and producing content that is both popular and appropriate.